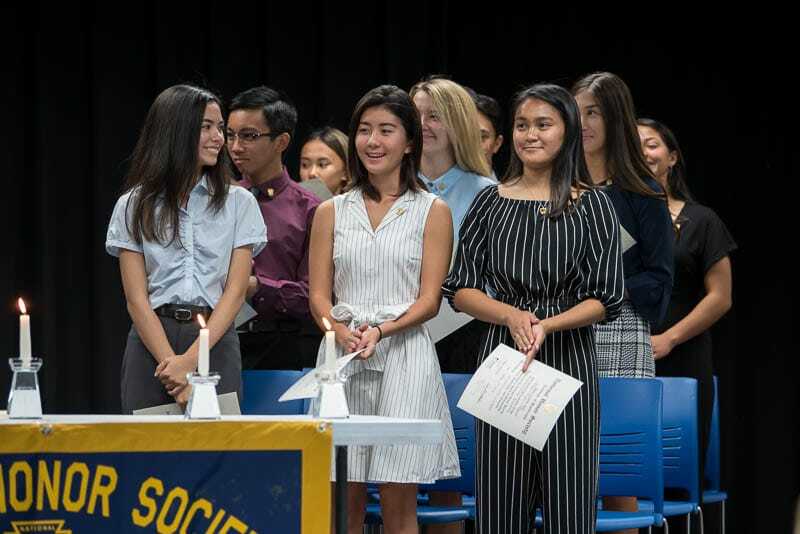 The newest members of the National Honor Society (NHS) were inducted into the ISLAND PACIFIC ACADEMY NHS chapter during a special ceremony on Tuesday, April 2, 2019. Current IPA NHS members, faculty, staff, families, and friends were in attendance to celebrate the occasion. The NHS is a prestigious, national organization, established in 1921, that recognizes outstanding high school students who have demonstrated excellence in the four pillars of scholarship, service, leadership, and character. 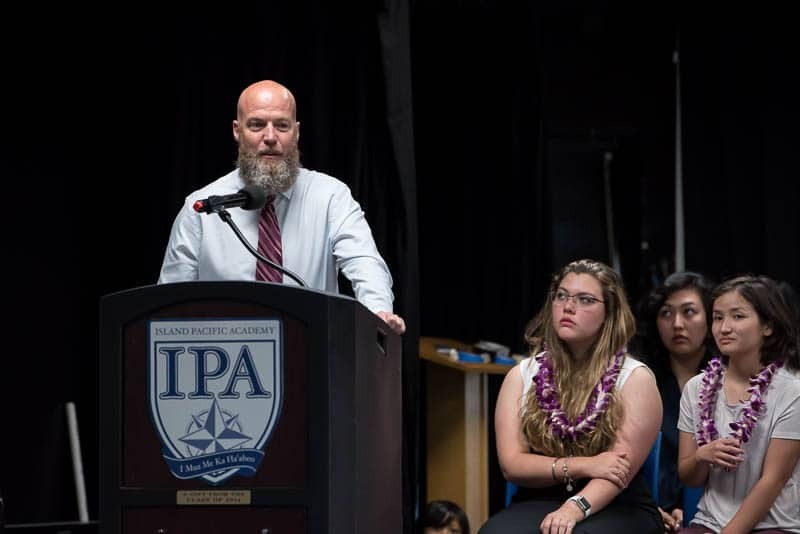 To be eligible to become a member of the ISLAND PACIFIC ACADEMY NHS chapter, students must be in grades 10-12 and hold a GPA of at least 3.5; show meaningful examples of volunteer work or voluntary contributions to the school or community; demonstrate leadership skills through roles in the school and community; and exhibit strength of character. 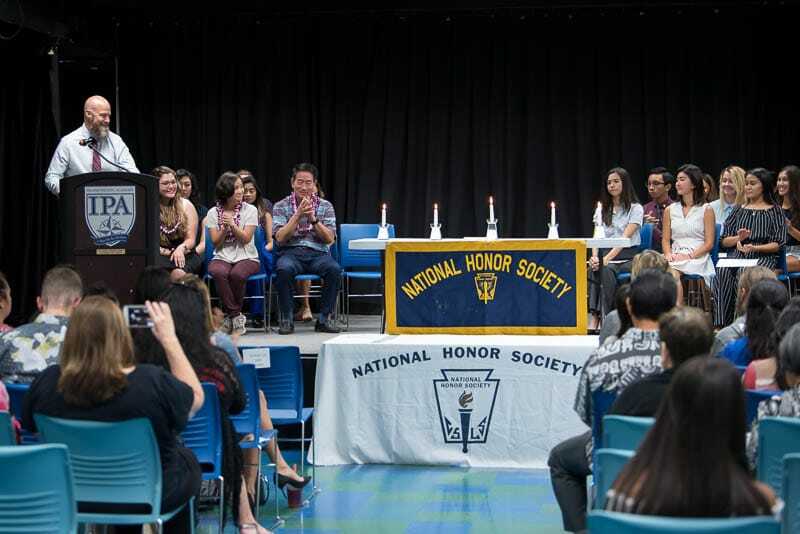 NHS is an active society in that individuals are not only recognized for past accomplishments, but are also challenged to develop further through involvement in school activities and community service. As such, IPA NHS members are required to plan, organize, and execute an individual service project (ISP) in the school or greater community. Past ISP’s have included a Blood Drive, Food Drive, Kindness Carnations, Sports Equipment Drive, beach cleanups, and other projects that serve the community. 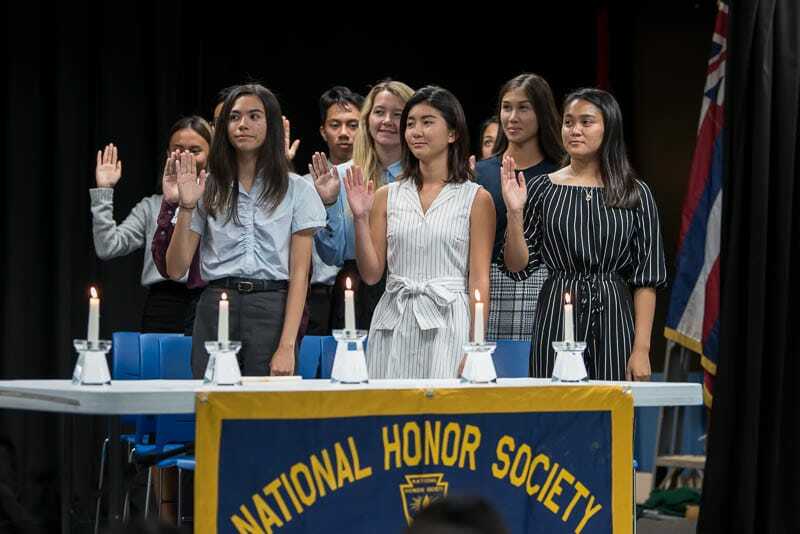 The selection process includes completing an application as well as a panel interview with the IPA NHS Selection Committee, comprised of five Secondary faculty and administration members. It is a daunting and rigorous process, but a valuable experience for the applicants. 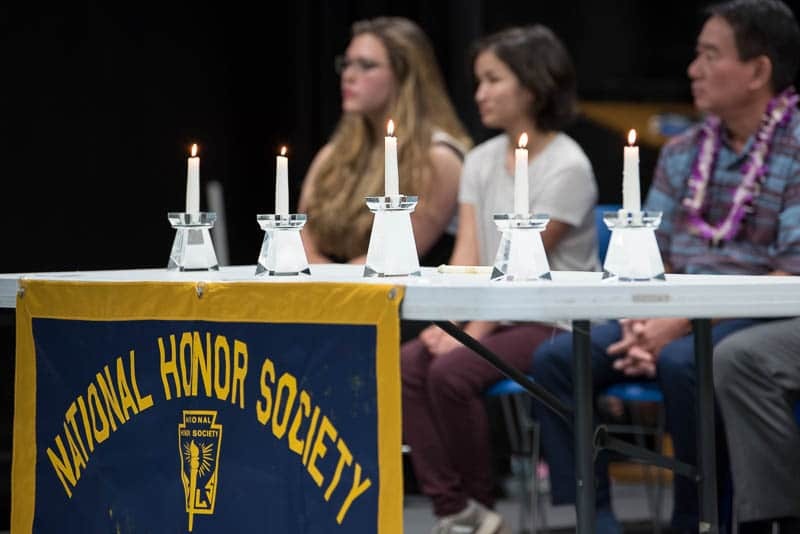 Congratulations to the new National Honor Society inductees!